Hello Everyone! 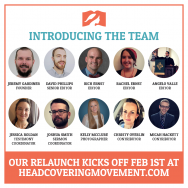 We are the members of the new Head Covering Movement (HCM) team, and we’d like to take a moment to share with you what the “HCM Relaunch” means to us. For the last several years, the Head Covering Movement has been a source of support & information for Christians around the world — especially for those of us who believe that the biblical practice of head covering is intended for all generations (1 Corinthians 11:2-16). So when we heard that the founder of this Movement was diagnosed with cancer (about 1.5 years ago), it was a blow in more than one way. First, we were all very worried about Jeremy’s health. And second, we wondered about the Movement — whether it would continue to provide what many had depended on it for. “What now?” we silently asked. It almost seemed like things had come to a dead end. We prayed fervently for both a complete recovery of Jeremy’s health and for God to direct the next steps for the Head Covering Movement. Then we received the wonderful news that Jeremy was doing much better (praise God) — and not only that, but he was recruiting help for a relaunch of HCM. All this news was amazing! To us, it was proof that just as God was not finished with our brother Jeremy, He was not finished with the Head Covering Movement either. To kick off this relaunch, we are beginning with a team of eleven brothers & sisters in Christ. We hail from various countries, and we’re members of a variety of denominations — including Baptist, Presbyterian, Church of Christ, Brethren, and more. United in our belief that God still desires His people to use the head covering symbolism during worship, we are now blessed to be serving this Movement together. Doing anything alone can be very lonely (and even discouraging!). But a group of Christians, all doing the something together, creates a strong sense of belonging. The group learns and grows. It builds confidence through community. And so the Head Covering Movement is where many believers find a friendly “home” to discuss their thoughts & experiences, and to give each other the support we all need. We also believe we are stronger when we have a plurality of diverse voices. Some things are better said by women. Other things by men. And many things are best echoed together. With differences in our personalities, Christian walks, theological training, and life experiences, there are unique nuances in how we communicate. These should be celebrated and welcomed. When there is only one voice, the message is influenced by the speaker’s blind spots. But when there is a team, one person’s weakness is another person’s strength. Even the way something is worded can be challenged & improved through the group’s collaboration, with a better result for everyone. Another benefit to a team approach is consistency. When everything is dependent on just one person, life circumstances can get in the way and everything comes to a halt (which is what happened to HCM). Now, when one person has a baby, is sick, or experiences a life setback, others can pick up the slack and continue serving in the mission of the Movement. Of course, the Movement doesn’t exist for the Movement’s sake. Our goal is to support women who choose to practice head covering, and to teach the wider Church about the often-neglected truths found in 1 Corinthians 11:2-16. We have an enduring commitment to the Lord and His Word. Because the Lord works through the various members of His Body, we are able to do this better as a team. And so it seems that the Head Covering Movement reflects a movement of the Holy Spirit. He is summoning Christians everywhere to return to biblical standards, speaking to each of us individually, and then drawing us together corporately. 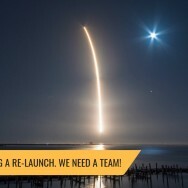 That’s what makes it so exciting to be a part of this relaunch. If you believe in what we’re doing, we want to invite you to help. There are two types of people necessary to get any job done. To borrow the imagery of a rescue mission, one worker must be lowered into the well to save someone (hands-on), but another worker needs to hold the rope (support). We are in need of both hands-on and support roles at HCM. We have a list of open jobs available. If you’re not able to serve in one of those positions, just as important is your prayer and financial support. The HCM Team is excited to share that we have new articles, videos, and more content already in the pipeline. To receive a weekly notification for all our website posts, join our e-mail list. Then make sure to follow us on Facebook, Instagram, and Twitter. While most of our posts will appear on the HCM site, some will be highlighted on social media only. 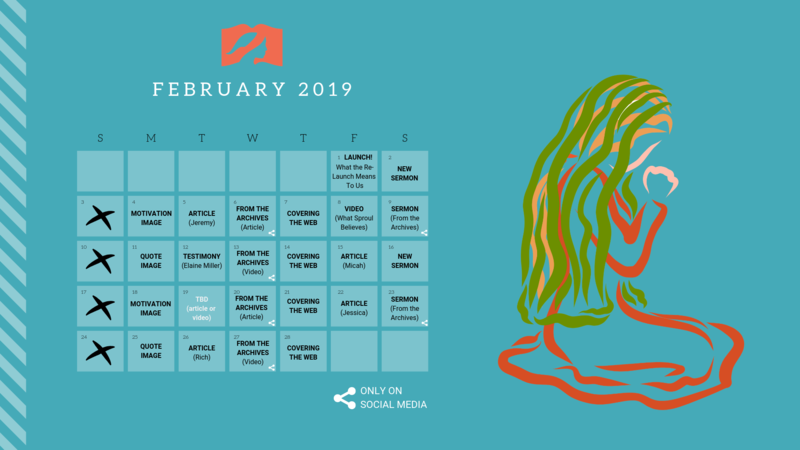 In fact, you can preview our busy month of upcoming content here. Lastly, if you’d like to continue the conversation & build relationships with other like-minded Christians, please join our new online Community Group. This is something we’re very excited about. We had over 175 people join the Community Group in the first 24 hours! 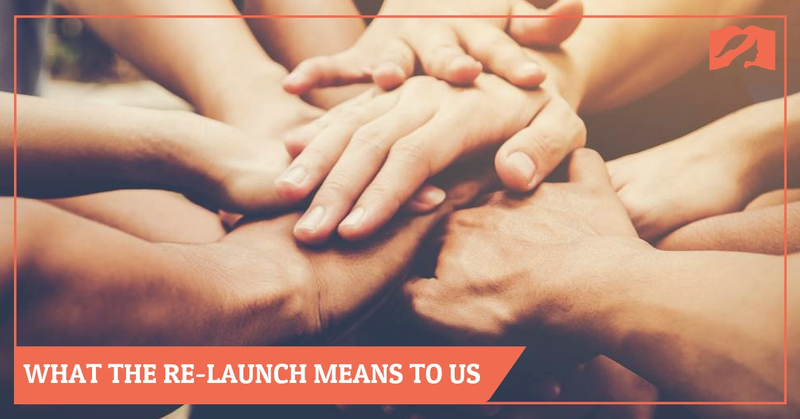 People really want to connect with other people, and the Community Group is an important part of the HCM relaunch. We hope to see you there!